Six First Nation youth from the Yukon put this song together in response to today’s education system; they call themselves “Driven to Change.” They are Kennedy Harper, Shai Moore, Aliya Grant, Jeremiah Shorty, Keona McLaughlin, and Cassie Johnston. 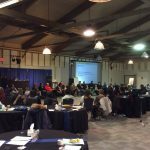 The CYFN Education Department works with the First Nation Education Commission (FNEC), local Yukon First Nations (YFNs), Yukon Education, Canada and many other partners and stakeholders to advance, coordinate and support YFN education priorities and goals in education. The department builds relationships and partnerships to foster transformation of an education system that respects and supports the role of First Nation Governments as it relates to education. 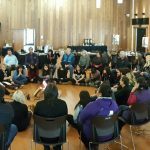 CYFN is the technical and coordinating body of the YFN Joint Education Action Plan, an outcome of a recently signed tripartite Memorandum of Understanding on Education Partnership by the three parties (Canada, Yukon, and CYFN and 13 YFNs). 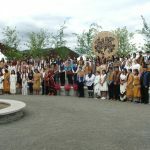 The education department supports parties to the MOU, which includes 13 Yukon First Nations, in working together to improve the learning outcomes for Yukon First Nation students through partnerships aimed at the inclusion of YFN cultures and languages and closing the academic achievement gap. The department also plays an administrative and coordinating role for the FNEC and provides capacity-building and technical support services to individual First Nation Education Departments and frontline staff such as Community Education Liaison Coordinators (CELC), Education Support Workers (ESW) and Education Outreach Coordinators (EOC). All 14 YFNs participate in the training and workshops hosted by CYFN along with several other partners and stakeholders involved in YFN Education. The mandate of the Education Department is to work alongside Yukon First Nations to facilitate unified efforts aimed at addressing common interests in education and to advocate for the advancement of Yukon First Nations education as directed by the Commission. All initiatives aim to improve education outcomes for all Yukon First Nation students and to increase the involvement and engagement of YFN students, parents, families, communities and governments. To support successful engagement, inclusion and meaningful involvement of YFNs in education-related matters.